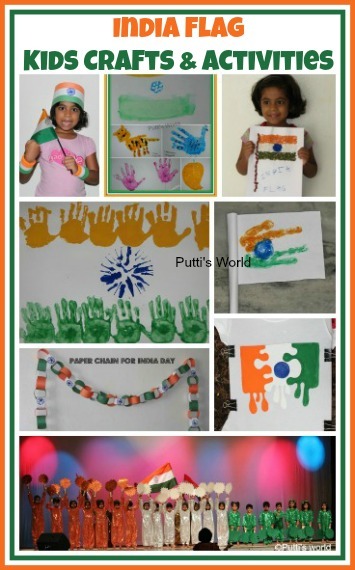 Today I am sharing with you India Bunting, a Kids Patriotic Craft to create a cheap, yet festive decoration for the upcoming India Independence Day holiday on 15th August. 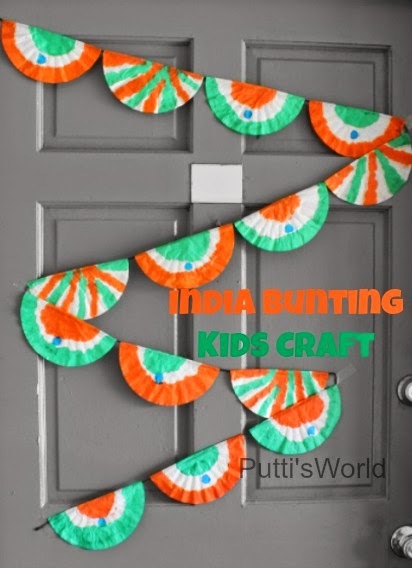 Here's an affiliate link to the products similar to what we used to make this India Bunting! Coffee filters are inexpensive and so fun to color. Since they are very thin and super absorbent, you could layer a couple while coloring. We have used them to make Suns and Earth. First fold your coffee filter in half and lay it flat and use dot markers to color the edges green, leaving plenty of white space. You could even use paint if you want. 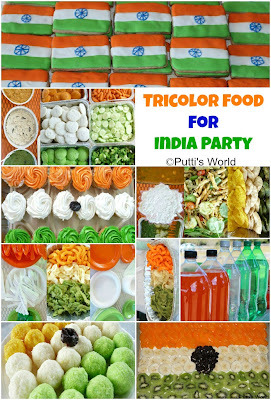 Next, add the Saffron(orange). 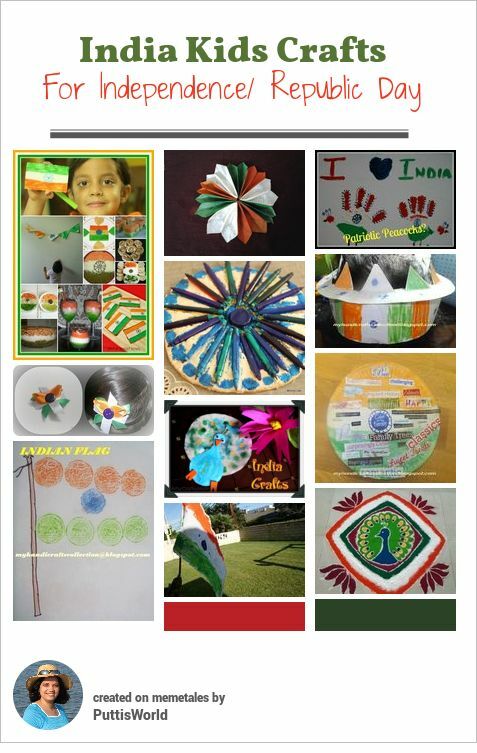 We alternated the designs, making the bulls' eye green on some with saffron borders, and vice versa. Putti loved decorating these. 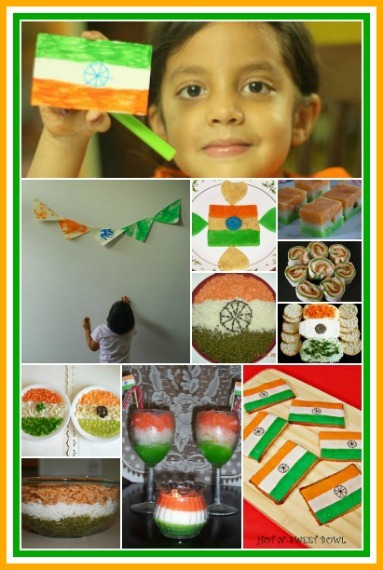 Here's a video of my little crafter talking about the colors of the India flag! She made a few, different from the bulls eye pattern, she started with. Here's some of the filters she had colored. They do go pretty fast!! Once dry, open the filters and get your glue stick and string. Put some glue in the center and all over half of the filter, then lay the string in the middle, making sure to leave around some string at one end, for hanging. Fold it over, press and then add your next filter in the same way. Keep adding filters until you are all done. Once you've finished, display your bunting wherever you'd like- Mantle, Door, Window, Patio!! Putti wanted some in her room too! Enjoy and have fun! This bunting was inspired by Katydid and Kid's Post. Follow us via our Facebook page to receive updates on all the fun ideas we share! You can also follow us on Pinterest, Twitter, or subscribe via RSS.